Arrival and reception at Havana International Airport "José Martí"
Havana is the starting point of your trip to this beautiful island, the capital of the Republic of Cuba, It is the largest city, the main port, its economic-cultural center and its main tourist zone It is the most populated city in the country, and the third most populated in the Caribbean region. Founded in 1514 (under the foundational name of Villa de San Cristóbal de La Habana) it was one of the first seven villas founded by the Spanish Crown on the island. Transfer to the chosen hotel .Accommodation. Welcome dinner. Introductory lecture "Cuban Historical-Cultural Panorama", Presentation of the general program. Lunch in Old Havana restaurant. Visit the Ron Museum, tour and cocktail classes. 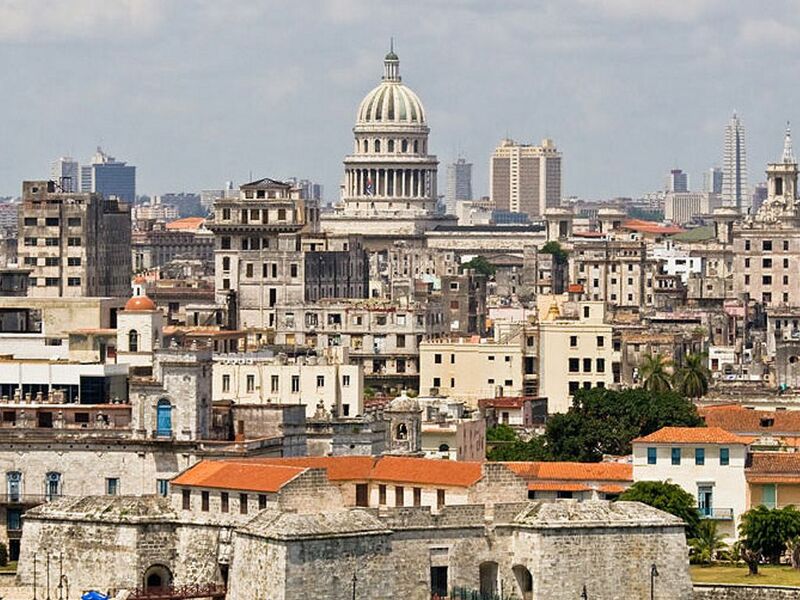 Walk through the main streets and squares of Old Havana. Visit to the house Fuster, located n the community of Jaimanitas, located just next to Fifth Avenue, at the western end of Playa, there, the ceramist, draftsman, painter and Cuban engraver José Antonio Rodríguez Fuster has created "Fusterlandia" , a creative project that has revived the facades of more than 80 buildings. Fuster has turned his neighborhood into a masterpiece of intricate tiles, tiles, kaleidoscopic colors and symbolic street art, in a Park Güell Cuban style that is absolutely fascinating. It is an interesting intervention where ceramics cover almost everything Small streets, stairs that go up and down, labyrinthine corridors trap the visitor who lets himself be carried away in his eagerness to identify representations, phrases, sculptures that proliferate all over the place. Lunch at the restaurant in the area. In the afternoon, visit the Museum of Fine Arts with a specialized tour of the Cuban Art room. In the afternoon and / or visit to the Animation studios of the Cinema Cuban Institute (ICAIC ) and enjoyment of some audiovisual materials. Visit to Music School. Discussion on the Artistic Teaching System for the specialty in Cuba, enjoy a short musical program interpreted by the students. Lunch at the restaurant in the area. In the afternoon visit to musical group rehearsal and / or exchange with the musicians. Return to accommodation. Night music program and return. Visit to a Theater. Exchange with his cast about works in scenes and his artistic career. Visit to the Art and Culture Academy of Paradiso in Varadero to receive a Cuban dance and percussion workshop. This will be a fully interactive workshop to learn the main steps of rumba and salsa, besides playing the key and taking the patterns of the different rhythms that percussion gives us. We closed the meeting with the exclusive presentation of a Cuban Musical Group of recognized artistic trajectory. Farewell dinner with live music show.